The Canadian Citizenship Ceremony is a special event in which you will become a full-fledged Canadian citizen. Applicants who successfully complete the citizenship test and interview will be invited to a citizenship ceremony. All applicants are required to sing the Canadian national anthem and say the Oath of Citizenship to Canada in either English or French before a judge. Once complete, they will be granted their Canadian citizenship. English: I swear (or affirm) that I will be faithful and bear true allegiance to her Majesty Queen Elizabeth the Second, Queen of Canada, Her Heirs and Successors, and that I will faithfully observe the laws of Canada and fulfill my duties as a Canadian citizen. French: Je jure (ou j’affirme solennellement) que je serai fidèle et porterai sincère allégeance à Sa Majesté la Reine Elizabeth Deux, Reine du Canada, à ses héritiers et successeurs, que j’observerai fidèlement les lois du Canada et que je remplirai loyalement mes obligations de citoyen canadien. Protégera nos foyers et nos droits. Protégera nos foyers et nos droits. Learn more about the Rights And Responsibilities Of Canadian Citizens. Contact us with any question concerning Canadian citizenship requirements and applications. 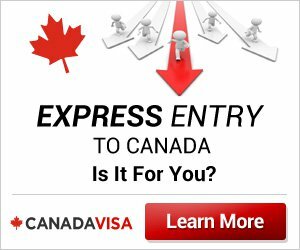 The Government of Canada is opening new Visa Application Centres in various regions in preparation for December 31, when nationals from Asia, Asia Pacific and the Americas will be required to provide their biometric information (fingerprints and a photo) when applying to visit, work, study or settle in Canada.